As a seasoned health blogger I have tried several different nutrition and fitness programs. Some of them have strict meal plans and preach low calories, low carbs, and plenty of lean protein to build muscle mass. While other programs I’ve tried are more flexible with what foods you eat instead they recommend watching your calories and portion size. If you are trying to lose weight the best thing to do is watch your calorie intake. The fitness trainers that I have worked with in the past were all very different in their approach to getting fit. Some recommend that you work out an hour a day for at least five days a week, while others say that just 20 minutes a day is enough to get you in shape. Because of my busy schedule with five kids and a husband who travels a lot for work I prefer working out 20-30 minutes a day. One thing that most fitness trainers agree on is that when you combine cardio, with weight training and abdominal exercises you burn more fat. I always combine those three when I work out. Even though I remind my readers about the importance of staying physically active and showing a good example for your children I will admit that my biggest challenge is making time to work out. I finally found a fitness program that works with my busy schedule. On Monday I joined over 100 bloggers on a six week diet and fitness program. Revolt Fitness with Nichole Huntsman, is designed to fit into anyone’s schedule and is the perfect solution for moms looking for that secret to getting their muffin top to disappear. 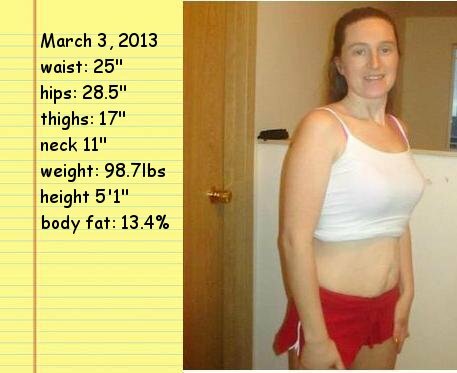 Nichole is a mother of four and she knows how difficult it is for moms to lose the baby weight and get in shape. For ten years after having kids she worked hard to transform her body. Nichole is a member of the National Physique Committee, has earned 7 Top 5 trophies, including 1st place as a novice competitor. 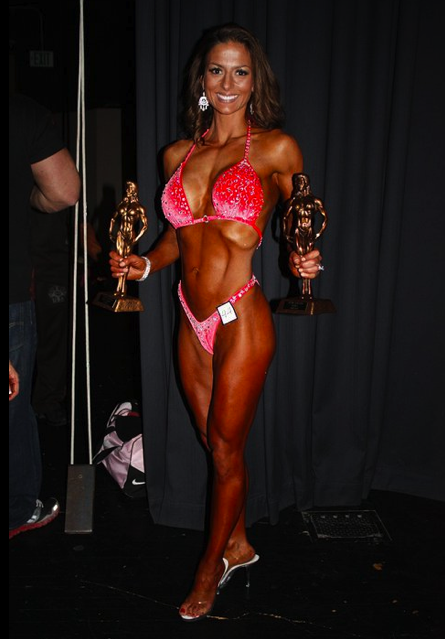 She has nationally qualified in Figure and is currently a nationally qualified Bikini competitor. Nichole is also an NASM Certified Personal Trainer. In her Revolt Online Fitness program she shares what she knows works to help men and women get into the best shape of their lives. I suppose you are wondering how my first week went. The first week we are on a sugar detox diet. If you are not familiar with what this is I will explain. The purpose of a sugar detox diet is to help you gradually reduce your sugar intake. I have been eating spinach salad, chicken breast, eggs, bananas, brussel sprouts and sweet potatoes. I am supposed to eat the same meals every single day and eat 5 times each day. Normally I only eat 2-3 times a day so I am not used to stopping every few hours to eat. My body also is not used to that. I am trying so hard to follow the meal plan but I can not finish all my meals. When I get full I set what I haven’t finished aside and add it to the next meal but then when it is time for my next meal I am not hungry. I thought my body would adjust by now but it hasn’t. I’m using a calorie counter app and finding out that even though I should be eating 1600 calories I am only finishing about 1200 a day. Hopefully, this will get easier. I love the Revolt workouts! They are simple and only take about 35 minutes. I don’t feel challenged enough with them yet so I think I need to purchase some heavier dumbbells and kettlebells. I am very petite, only 5’1″ , 98lbs. My goal in this program is to build lean muscle on my skinny frame. So far this week my weight has stayed the same but I have lost an inch off of my waist. I am still waiting for Nichole to explain this. If you are ready to start your Revolt and lose the muffin top visit RevoltNowFitness.com. I will be posting about my progress every Friday. you're doing awesome. I haven't measured myself to see if I've lost after last week, but I think I lost a couple lbs… Just remember, muscle weighs more than fat, so you're toning up! Thanks! I am trying so hard with this. The hardest part for me is finding time in my day to work out and taking the time to eat. I am still not used to eating more than two or three times a day. But I am getting better! Wow what an achievement. She deserves a gold medal for sure. Meg, Nichole is amazing, I agree. The revoltnow fitness program is fabulous. I am learning more about my body and gaining muscle mass. This week is our last week of the 6 week challenge but I am planning on continuing to use Nichole's tips to maintain my strength and energy levels. For more information visit revoltnowfitness.com.